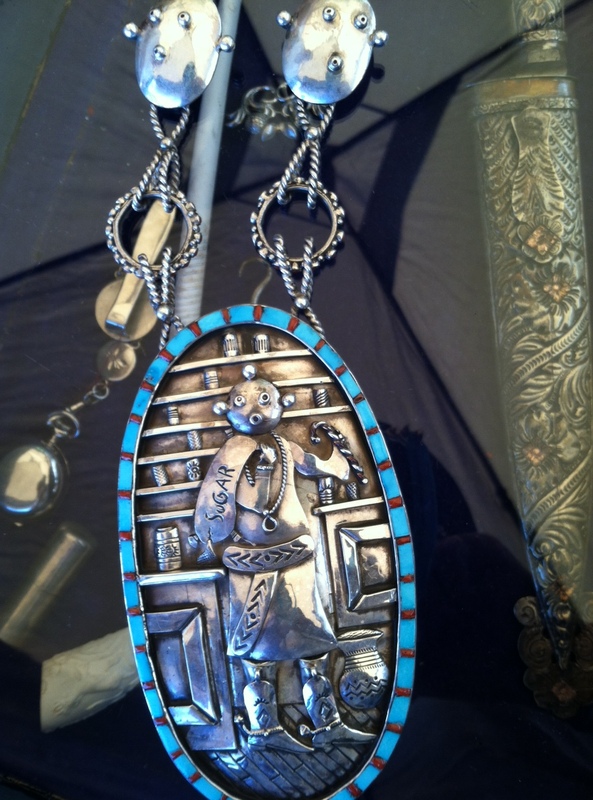 One of the greatest contemporary Native American jewelry silversmiths of our time, award-winning Bennie Ration has a distinct three dimensional style with geometric patterns figuring prominently in his pieces. Using overlay to highlight and accent his designs, Bennie Ration creates unique pieces using the finest materials. 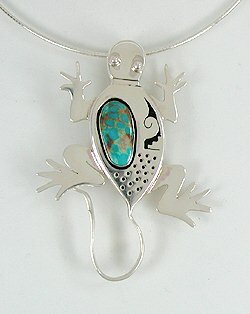 His pieces are recognized all over the world as some of the finest silverwork. 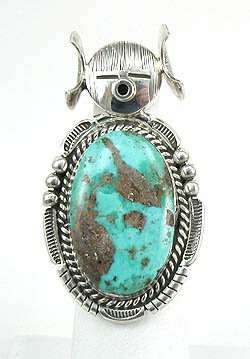 Bennie was born in March of 1955 to Francis and John Ration of the Canoncito Navajo reservation in New Mexico. 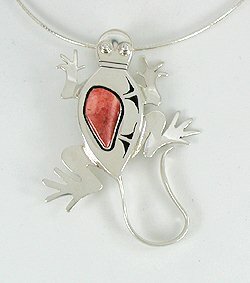 His father, John, began teaching Bennie the art of silversmithing in grade school. From age 11, Bennie was a talented artist. 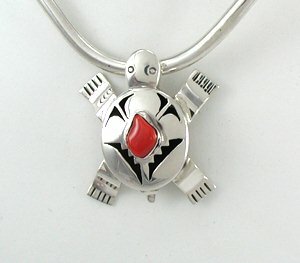 Bennie ration developed a unique look to his pieces which include overlay, exceptional stones, three dimensional kachina figures, animals, feathers and other designs. 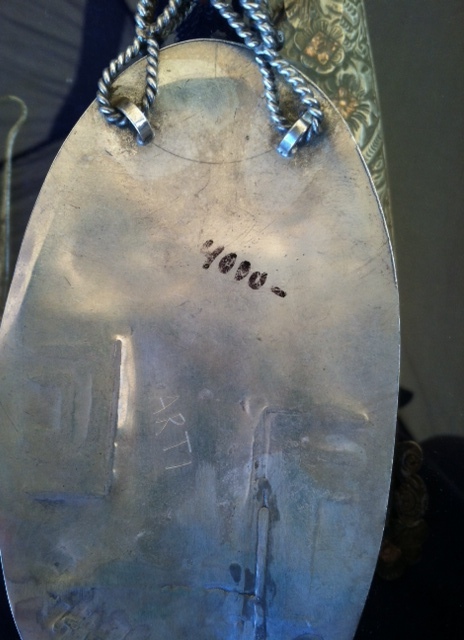 I have a rather unique necklace signed Arti in sterling and was wondering if you have heard of the artist. 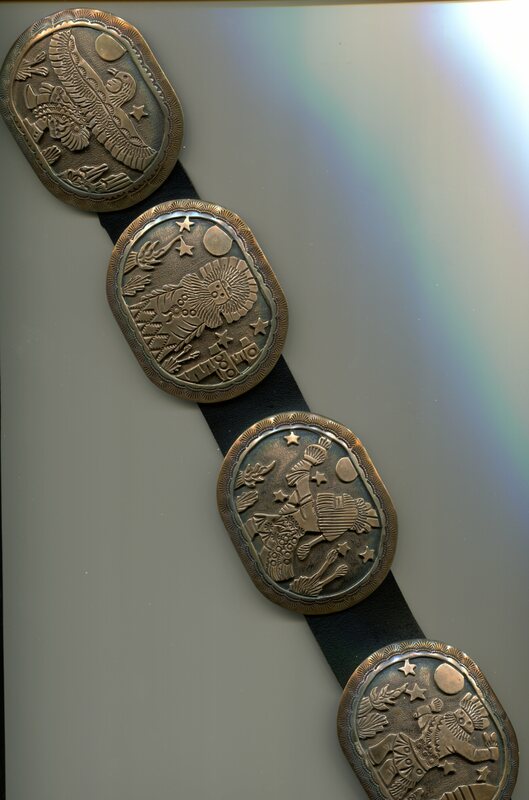 Made around 1997. I have no idea but I do LOVE it !!! 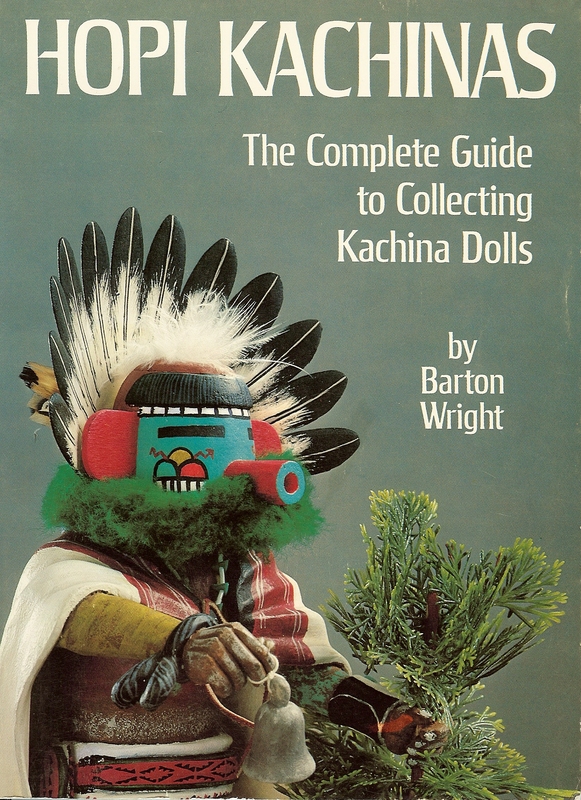 The boots with spurs, the candy cane, the detail of the general store with a mudhead kachina head !! Wow, what a detailed and unique piece. 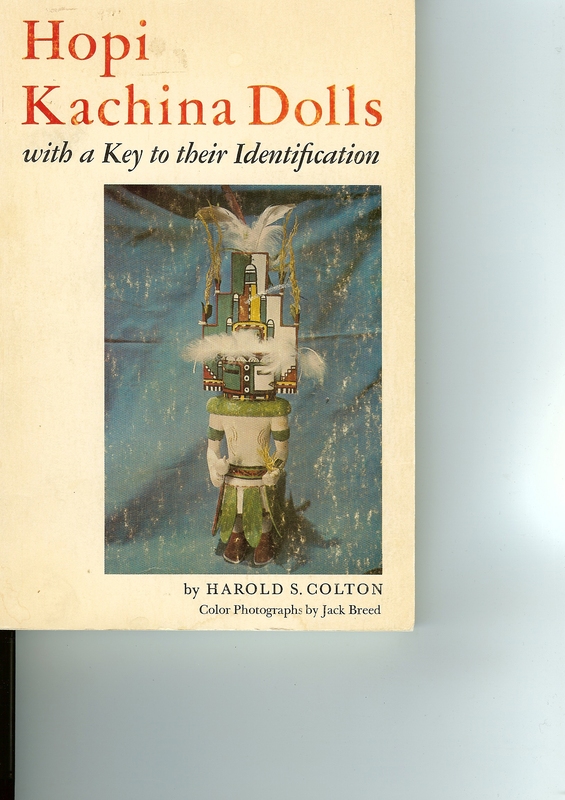 Maybe another reader will recognize the hallmark, the superb work and bizarre subject matter. To those of you asking for the Miniature Hand Made Cottonwood Root Kachinas, we just received a new family of them from Loretta Multine.